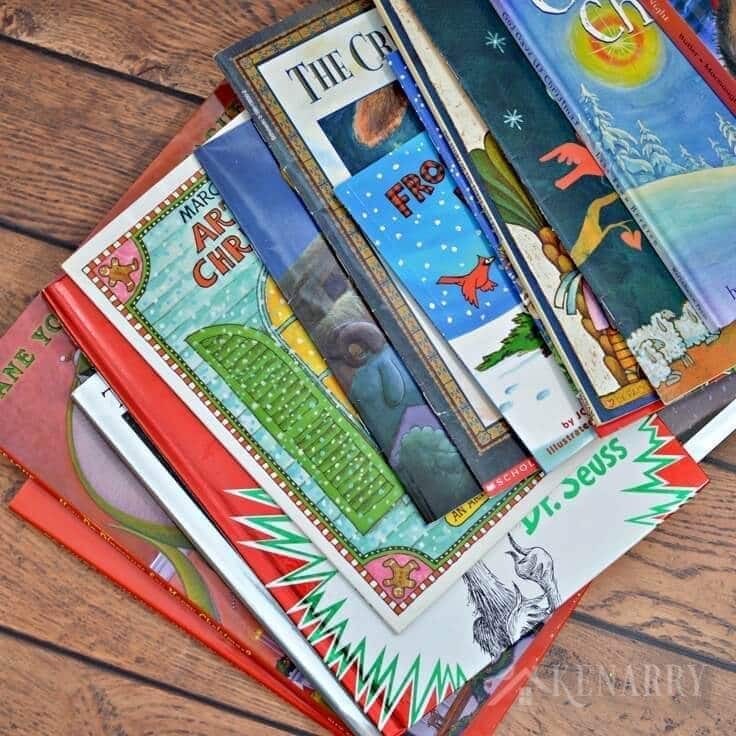 Create a special holiday tradition for your family by reading one of your favorite Christmas books each night before you tuck your children into bed. Looking for a new tradition to help you celebrate Christmas with your children? Today we’re sharing one of our special annual holiday traditions along including our favorite Christmas books. One of our family’s favorite holiday traditions is to read different Christmas books at bedtime from December 1 through 25. Each of the Christmas books is wrapped like a gift and displayed in a festive basket. The boys take turns each night with who gets the special job of choosing and unwrapping the book. 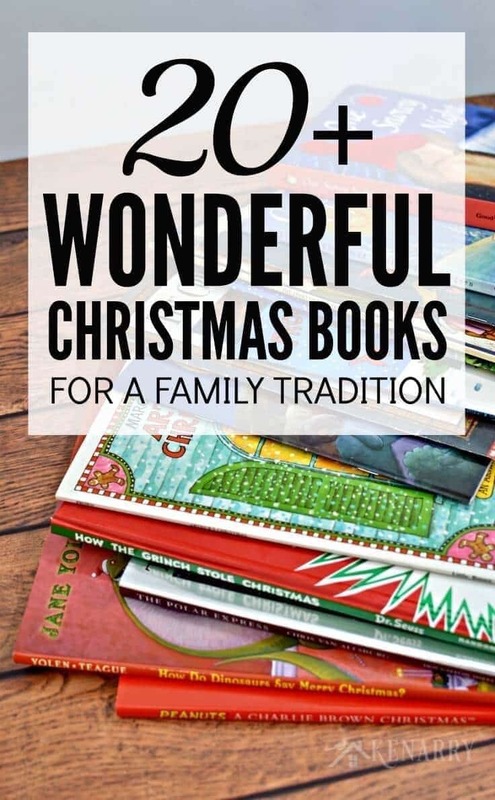 I’ve previously shared tips for creating this special Christmas book tradition with your own family. 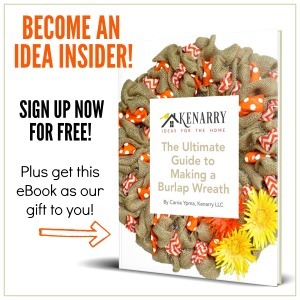 I’ve also given ideas for how to get a jumpstart after the first of the year when Christmas books go on clearance. This year I thought it would be fun to actually tell you about some of our favorite Christmas books that are currently in our collection. We love books. When we first started this tradition, we included any books that were “winter” related to help us get up to the required number of Christmas books we needed to have one to open each night. Slowly over the years, we’ve been replacing the winter books as we get new Christmas books as gifts or find them on sale. Now all the Christmas books in our collection are holiday themed. My favorite books are the ones that tell the birth of Jesus from a variety of perspectives like The Birds of Bethlehem by Tomie dePaola or Itsy Bitsy Christmas by Max Lucado. Not all of the Christmas books in our collection are religious though. 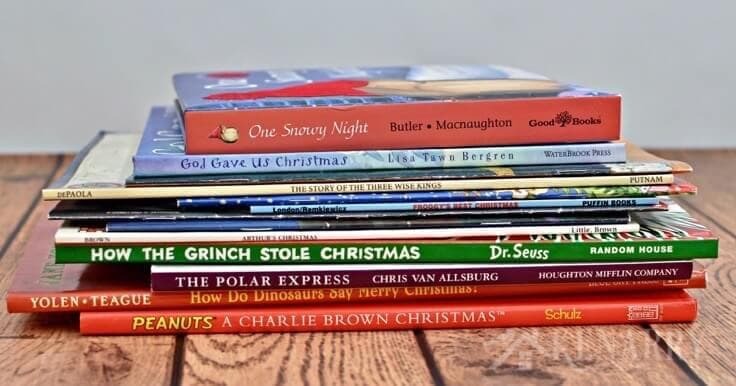 We’ve also included classics like How the Grinch Stole Christmas by Dr. Seuss, A Charlie Brown Christmas by Charles M. Schulz and The Polar Express by Chris Van Allsburg. Surprisingly I just noticed we are notably missing ‘Twas the Night Before Christmas by Clement C. Moore from our collection. We better add that to our wish list for this year! After the holidays, I always wrap and put the Christmas books away so they’re ready to go for the following year. This way they always feel like “new” when December 1 rolls around again. Other books we have that are no longer available include One Snowy Night by M. Christina Butler, DuckTales Christmas at the North Pole by Disney, and Roo’s Best Gift by Ronald Kidd which comes as part of this boxed set. What are your family’s favorite Christmas books to read together during the holiday season? Please comment below and share. We’re always looking for ideas of new Christmas books we should add to our collection. We also have a small collection of seek and find Christmas books (or “finding things” books as my boys like to call them). We put those away with the rest of the Christmas books at the end of the season but do not wrap them. We just bring them back out the next year on December 1 with the rest of the Christmas books. Such a great listing! We just read the 12 Days of Christmas in New England and I absolutely fell in love with the series. Such a fun way to mix geography in! We try to read new books each Christmas… as many as there are out there our favorites tend to change often. Glad you enjoyed our list! We’ll have to check out the 12 Days of Christmas in New England. Happy holidays! Wonderful list! I know my nephew would love “How Do Dinosaurs Say Merry Christmas?” Thanks for sharing with us at Funtastic Friday Carrie! You’re welcome, Angie! Hope your nephew loves the book! So many lovely books, makes me wish my kids were small again. I used to love reading them Christmassy books at this time of year. Our favourite was always This is the Star by Joyce Dunbar, it tells the Christmas story in rhyme that gradually builds up, and it has the most beautiful illustrations by Gary Blythe. We would always read it on Christmas eve as our bedtime story. It’s worth looking for if you love reading with kids. Thanks Julie! It looks like This is the Star is no longer being published. I’ll keep my eye out for it in the used book market – it sounds FANTASTIC!